I can’t even begin to tell all of you how much has changed in my life over the last few months. The people I have met, the food I eat, the way my days unfold and endd, how I push myself, how much Shasta loves the country…..there has been a LOT of change. I stopped by last weekend to check on my Layers (who used to be Littles but are now Layers) where they have been staying. Thelma and Louise look a bit small up next to some Americauna’s and Lavandar Orphingtons. Yet they are holding there own. Unfortunately Miss Diana met an undetermined demise. She was found dead one morning in the coop. These things happen. She will be missed for her regal presence among the other lovely ladies. My friend at Applegate Valley Lavender Farms https://www.facebook.com/ApplegateValleyLavenderFarm?fref=ts is the one who has been caring for my girls since late winter when I couldn’t provide for them due to my circumstances. Fortunately, plans for a coop have been chosen, the area for the run has been cleared, the wood has been delivered and building should begin this next week for our own coop here on the property where I am living. I can’t wait to wake up to gathering eggs in the morning again. While I was at my friends farm we enjoyed a visit with the sheep who had given birth to a beautiful black lamb the week before. I also enjoyed the antics of the baby Sebastapol Geese and the three ducklings on site. And of course, there was the Lavender. Some of it is in bloom and the rest is just about ready to unfold it’s lovely fragrance and color for all the world to see. My newest and dear friends Jess and Gil who were here for about 5 weeks. You can follow them at http://adventuringsouls.com/. I have no doubt in my mind that our friendship has just begun and we will be sharing some adventures of some type in the future. Love these two folks…they are good people. We welcomed a new comer that was found using the site https://www.helpx.net/ . This newest helper has come to us from Seattle, WA. She has only been here a few days and I am looking forward to getting more acquainted as time goes by. It has become customary for us to take a dinner photo when we welcome someone new or say goodbye, and that is what the last photo is. Goodbyes and Welcomes all in one night! I also had my SSDI appeal consultative examination on Tuesday. It only lasted 30 minutes and I left feeling frustrated that the MD whom I was seen by didn’t really seem interested in anything I said, but rather found delight in probing all my tender spots even after I told her where I hurt the worst. I am doing my best to remain hopeful that with the input from my NP (nurse pratitioner) as well as my counselor that maybe I will be granted my disability and not have to endure any more prodding and probing. God knows I need a break. I am enjoying the things I am doing for the most part, although I have had to push myself to a much greater degree on a constant basis than I have in a number of years now. How the toll will be weathered over time is yet to be seen. I am trying to keep my faith, do my best and trust that God has me covered no matter what happens. There is much more to write, but today was my first day off in quite some time and I make a cake, made jelly and dehydrated bananas and I am a bit tired. So….for now that is all. I will be trying to be more consistent in my postings again. It’s just taken me awhile to get settled and get a routine where I have a few extra moments to spare and the energy to walk to the community cabin to make a posting. The next posting will be a compilation of spring photos I’ve shot of nature and flowers and wildlife and the country. I hope you’ll check back for it. Winter blues got ya down? My cure…fresh air and pets! 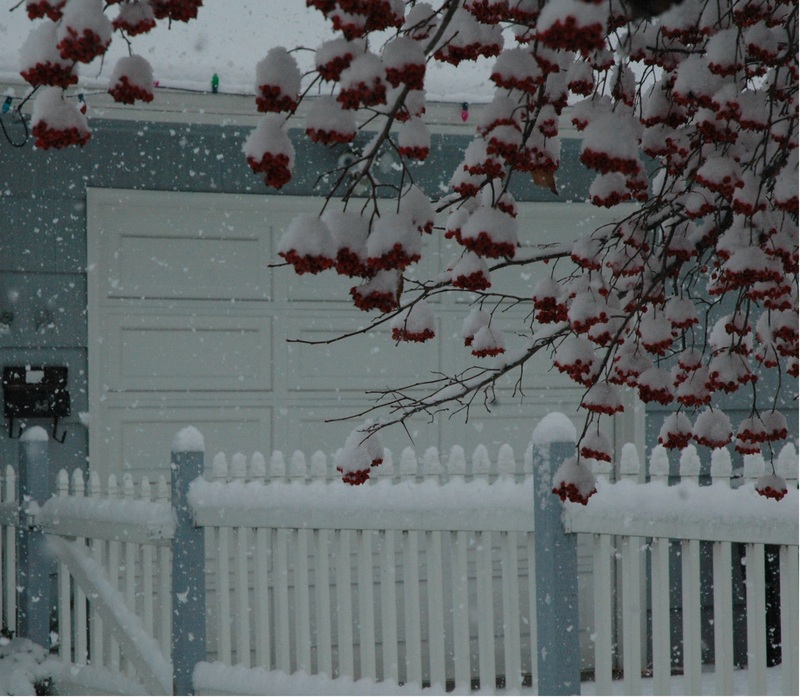 Dec. 6 is a snowy day. The only thing blue is my neighbors house! I love the snow. December. Bah-humbug. Okay, not really, but it could have been if I had allowed my attitude to venture that way. I am not a lover of winter. I am a sun worshiper. When the days get shorter and the skies are more gray than blue and they have a tendency to leak tears over the lands, I get a bit of the blahs. I decided in the early part of the month that I needed to let things that were bothering me slide off my back. What was bothering me you ask? Well, lots of things actually. The biggest was not being able to spend time with my grandson for his birthday or any time over the holidays. I also have a few issues with this house we live in. It’s not easy living in a house of disrepair, and the thought of trying to bake and cook and decorate and bring it to holiday life was a bit daunting. And of course, as always, there is the issue of living with chronic pain and the limitations that places on me and the various ways low energy and high pain levels have impacted my life. No job, no money, no freedom to do all that I would want to do. That’s just a few of the things…get the drift? It started snowing here around the 5th of the month. And it got cold. Frigid cold for this part of the country. We were in the teens and even some single digits for the first half of December. Guess what??? My body had not felt so good since early June! The dry cold air made my hot tight joints and tissues feel so much better. So I started my baking. We were nearly snowed in for a couple of days, because the combination of 6 inches of snow and then the freezing temps made the streets impassable. There just weren’t enough plows and other equipment for the city to keep things clear. The red berries and green leaves inspired me to get going for Christmas! A pair of SL Wyandottes deciding if they want to get their feet cold. We wont’ be sitting here for any BBQ dinners for awhile. Anyhow, we got a tree, and the decorations came out, and the baking continued and before I knew it Christmas had arrived. My guys two youngest were with us and we had a nice, yet quiet and low-key holiday. I let the messes roll off my back. 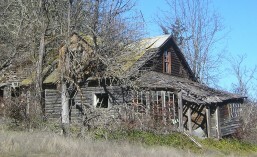 I didn’t look at the parts of the house that are still broken. I ignored the untended leaves all over outdoors. I just enjoyed my pain levels being down, being able to bake and cook and interact with friends. Bare trees have left all their leaves on the ground. My sentry! She had not barked until this week. She now alarms if anyone walks by. The sunsets were spectacular against the gray skies and white backdrop of snow. The snow melted a little and then the temps plummeted. We had an ice arena…in the streets. And then it was the day after Christmas. My boyfriend wanted me to travel with him to take his daughter to the airport. It was a 10 hour round trip drive. I don’t do riding in the car well. I typically break up any trips I take into 2-3 hour driving segments each day! I warned him that I could well end up in bed for a couple of days. The weather also had taken a turn. It was foggy and the humidity was up. I got home and went to bed and stayed there for a little over 2 days. And guess what? The blues came over me with a vengeance. Each time I would hobble out of the bedroom to get a glass of water or use the bathroom or just say hi to everyone, I noticed everything that is still needing fixing in the house. And of course the post holiday messes, with all the extra food and new appliances taking up space and the decorations looking not quite as festive but instead a little more cluttering. It just would hit me in waves. Then the limitations of energy and the pain being bad really knocked those negative thoughts into full speed. I was not liking where my thoughts were going. Not at all. My little feral kitten who is coming round lately. Muffin peeking through the fence watching me with The Layers. Yesterday I got out of bed and went to my regular support group meeting. I shared how I was concerned about my thinking and how I needed to probably get a little help with it. I promised to make an appointment with my doctor and to talk to her about maybe doing a little counseling. I realized, I’ve had quite a bit on my plate in the last 3 years and having a professional to talk to and give some perspective might help. I told my group of friends to hold me accountable, because I have been here before, in a dark depression and I know how to put my smiley face on for everyone else to see, and that will get me no where in a hurry. The youngest of our group, Baby Blue. A very pretty Blue Laced Red Wyandotte. Peggy just checking me out. MIss Donna always looks so nice. Princess Diana still so regal, and I love the dark brown egg she gives me. Black and white and black! Thelma and Sweetie are a pretty duo today. When I got home from my meeting, I was tending to the chickens when my little feral kitty, Muffin, came around the corner. I decided to go grab my new camera that I had got for Christmas and do a little photo session. The cool air felt good on my face. It was a fairly decent day out. I looked around at the leaves and the remnants of things that had once had life, but were now just brown decaying bits of debris in my flower boxes and decided to do a little work. I grabbed my gloves and away I went. I pulled up all the dead and decaying matter and threw it into the corner of the yard. I raked up all the leaves under the apple tree and hauled them over and dumped them into the chicken run. I figured that might help keep the mud down for a little while. I got the shovel and tended to the doggie droppings. When my guy came out to see what was going on, I got him to clean off the lawn chairs and put them away for the season. I cleaned up the area where we had spent a few summer evenings having BBQ’s. Then more photos of the animals that were out enjoying the weather with me. I love my animals. They always can bring a smile to my face. And the fresh air and being outdoors…..that helps too. Gets me connected to God. I beat the blues for another winter day. Doing her job. I am waiting Thelma, where is my pretty brown egg? Six days of laying for 14 hens gave me these! This is what I like to see when I go out to check on them at noon. Thelma has such pretty brown eyes. Hmmm, does that mean she’s full of it? Just like my Layers, their eggs come in all shapes, sizes and colors. When I started writing this it was going to be more about just sharing photos of the animals…but then I got carried away. I started sharing my thoughts and feelings. I guess that helps with the blues too. If you are having some wintertime blahs and blues, I encourage you to get outdoors and get some fresh air, pet a dog or cat, and talk to someone about it. Sharing really is a great way to lessen the burden of blues. I hope you enjoy the photos! They are a variety that was taken over the course of the last month! All eggs are NOT the same! Prior to getting my first flock just a little over a year ago, I knew NOTHING about chickens. I had never eaten a farm fresh egg that wasn’t from the local grocery. I had never held a chicken until I went and picked mine up from the girl I got them from. Now, that does not mean I had not done my research before getting these girls. I had studied what they needed to live safely and comfortably for nearly 6 months. But, I was not prepared for the variety of chickens I would have, nor for the variety of eggs they would lay. My first flock had 7 different varieties of chickens. Then I got my babies, my little chicks. 5 total. They were so tiny. That’s Thelma right there looking at ya! She is something else! Since that time I have seen a LOT of eggs. Dozens and dozens and dozens of them. But today’s egg was one of such magnitude I had to share it with you all! It is a doozy!!! But I couldn’t just show you the egg without showing you a BUNCH of my eggs. So, here is a few that I have gathered today! It shows the variety of our flock type as well as their age. Bigger eggs from older Layers, smaller eggs from the youngsters. The egg on the left is from our youngest, the one on the right from our oldest. This is an assortment from a variety of the Layers in one day. I love seeing how different in shape, color and size they are. It came from the big Gray Ameraucauna right there in the front of the photo. We are guessing this big Gray Ameraucauna is about 3 or 4 years old. Well, I was impressed. I love how much fun I have with my girls, and I love the eggs they provide for us to eat. I’ve decided to memorialize this one big blue egg. I am going to blow it and save it! 🙂 In fact, I think I might make it into a Christmas ornament. That would be a fitting thing to do with it I think since it is just 12 days until Christmas. Don’t you think? If I ever get a rooster again and have a Layer that wants to go broody, I would be happy to have baby chicks. I would rather try to do it the way of nature than with a machine. Having the mama their to say “welcome” is just so wonderful. But, if I don’t get back out to the country soon, then I will have to resort to using an incubator. But natural birth is always best in my book! I posted this precious video once before, but this is something you just can’t see too many times, so one more time folks… enjoy. Posted in Chickens, Life in General. I went to the Rogue Winterfest today and took a walk around the trees displayed. There were some pretty fancy things there. 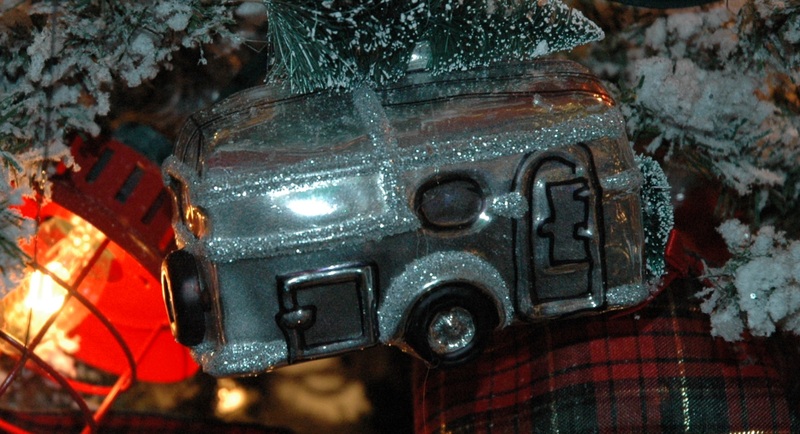 I loved this ornament. It made me think how nice it would be to have a little trailer that I could take and go wherever a whim suited me to go. I’m feeling like a trip, a long trip in a trailer, would be good for my soul about now. Two nights ago I was watching the most recent Grey’s Anatomy. It is one of the few shows I enjoy watching. I typically watch it after the fact on the computer. Do any of you watch it? Well, there is a baby on this episode that is needing heart surgery. I didn’t realize until late into the show that the baby in question had the same condition as my son Kevin had. Today would have been his 27th birthday. They didn’t have successful surgeries for his condition in 1985. Hypo-plastic left heart syndrome was a sure death sentence for babies. They had tried a few experimental surgeries in St. Louis back then, but all the babies had died on the table. My husband and I decided to not put our baby through that. I wanted to just hold him as long as I could. I didn’t want to have him pass away on a sterile cold surgical table without the warmth of his mama. And so I did…I held him every single minute I could until his last breath was gone. Even tho it was 27 years ago….I always find myself feeling a little tilted from about December 7th until after the 13th. He passed on the 12th. My youngest brother’s birthday is on the 13th. That is my reminder that it is time to move on., This year, because of watching this show two days ago, I had it brought to my attention a bit more strongly than it has been in many years. Typically, since it has been so long, it is a slow awareness that brings it to my attention. Noticing the date and having my mind jolted into “oh yeah…that’s why I feel a bit off”. I hope you all don’t mind me sharing this with you…sometimes sharing things eases the weight of them a bit. That same show held another moment for me. Bailey is struggling with Obsessive Compulsive Disorder (OCD). I was diagnosed as being “symptomatic” of OCD years ago. I haven’t really noticed it being problematic or pervasive much over the last few years, that is, until moving to this house I am living in. Being where things are so broken and ugly and clutterd and just funky has made me feel more anxious. There is not one room in the entire house that is completely “normal” with everything in working order and painted and cleaned. It kinda wears on me. So that is why this little trailer caught my eye. It made me think about just wanting to get in a trailer that was all cute and cozy and just go with the flow. Wherever I wanted to go. Of course, that isn’t going to happen. But sometimes…letting our minds wander like that, thinking about a trip to wherever, it can help one to get through the moment. For many many months I was really struggling with pain and decreased energy. That was the reason for starting this thread on low production. Each day all my energy was used just to get a meal and maybe a shower. It started with the intense heat of the summer, then the smoke from the fires and then the weather changed dramatically in late September and the pain in my joints escalated to where I wasn’t doing much of anything. Or at least that is how it felt to me. I had always been so active in the past. I worked hard and played hard. I work and worked a lot, always at physically hard jobs. I worked in food service for years. If you have been a waitress you know how demanding that is. I worked at the brown truck company as a pre-loader lifting approximately 50,000 lbs worth of packages a day. I owned/operated my own businesses, first doing housekeeping and then lawn maintenance. Then I went back to school at the age of 35. Single mom, working as a nursing assistant as well as still mowing some lawns a couple days a week in addition to taking classes to get into a nursing program. It took me 10 years of schooling, all the time working and raising kids and keeping a house, to get my degree as a registered nurse. It’s been almost 3 years since I have worked at a regular job and it is still hard for me to accept. And now, living in this house that needs so much attention and has so much cleaning to be done, while not having the strength or energy to do it, is really hard. Especially for someone that has symptoms of OCD. Every day I would hope to be able to clean an area or fix up something, but I just couldn’t stay out of bed long enough for weeks on end. Rock climbing on Thanksgiving day at age 46. Then, just a couple weeks ago, the weather changed again. We hit a cold spell. A very DRY frigid cold spell. Low and behold, my energy has been better. My pain has been reduced. NO, it is not gone, but it is better than it has been for over 4 months. It’s been good now for nearly two weeks. The increased energy has come at a good time. It is the holiday season. I have things I’ve wanted to do and things I want to accomplish. I am not much of a gift buyer, but I do enjoy making gifts. As most of you know the holidays take energy if one enjoys participating. So, I am grateful for this current improvement. I don’t know how long it will last. I never know if tomorrow will find me hurting too much to do more than the basics again. I am doing the best I can to do what brings me enjoyment and fulfillment each day that I get that I feel well. This house…it isn’t going to get fixed over the holidays. In fact, it is possible that it will never really get fixed during the time I live here. But I can do a few things to make it have a bit of coziness during the month of Christmas. I can bake and create lovely aromas to entice smiles and warm memories for anyone who comes by. 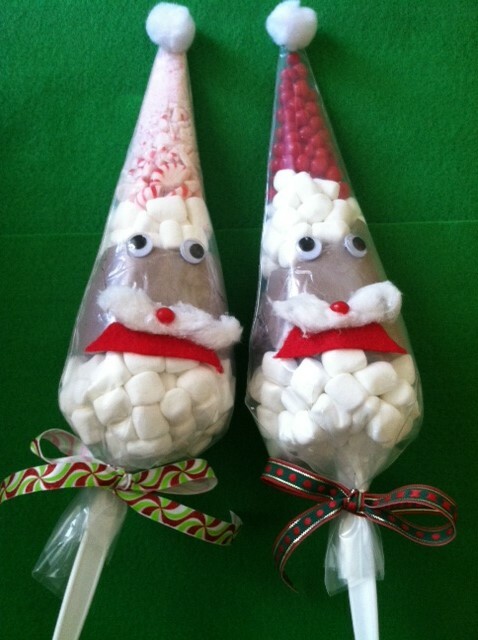 I can make gifts of food to share with friends and neighbors to bring a smile to their face. I think there are still a few girls holding out. They must not have heard the rumor about the stew pot. Around my house, if one talks about production being down, it’s usually in relation to the recent output from The Layers and Crew. (It seemed appropriate since the flock is now a combination of my girls and his girls and our girls, that I needed an updated title for the group. What do you think?) In layman’s terms, how many eggs did we get today? Production has been down. Last year at this time the girls were giving me about 8 eggs a day form 13 hens. My guy was getting oodles from his girls. He didn’t gather daily (eeks…I know!!! I gather a few times a day most days) and so there would be a couple dozen when he would go gather. He was giving them to all the neighbors and they loved him for it. The decrease did not come overnight. It has been like this for months. When we (The Layers and I) were still out at the farm and they were free-ranging, they were giving me nearly 6 dozen a week. That was out of the dozen girls that were old enough to lay. The first change for them came when I changed their food. They had been having Rogue Quality Feeds Layer Pellets when I got them in October and I kept them on that until late spring. I changed it to the Rogue Nature’s Harmony Organic Layer Pellets. They are both 16% protein. The only difference is that one is made with grains that had been certified Organic by the Oregon State Dept. of Agriculture, per the packaging. I noticed a slight drop in my daily egg counts. Then, in May, when things began blooming and I came back from a trip, my landlord asked me to pen them. They were getting into her pretty flower beds. I understood. So a pen was built around their coop by none other than my most favorite hardworking handyman..my boyfriend. He even made the gate cute for me. 🙂 Right away, there was a significant drop. In April I had been getting about 9 or 10 a day and then it was down to about 6. I felt they were crowded. The enclosed area was plenty large enough by the standards you see when you look to find out how much space a chicken takes. I had 17 chickens and they had a 16×8 foot coop and their run was at least twice that big. So maybe around 350-400 square feet of ground space for them. That’s plenty for certain. But I felt they had given up too much space. They had been roaming 3 acres for the last 8 months. So I decided to re-home 5 of the original Layers. And the eggs skidded down to a mere 4 or 5 a day. But wait a minute. 4 or 5 a day out a of dozen chickens? Oh…wait a minute, let’s evaluate. I had 13 Layers, one died. That left a dozen. Then I got 5 baby chicks. So 13-1+5=17 chickens in the flock. Am I right? Please check my math. 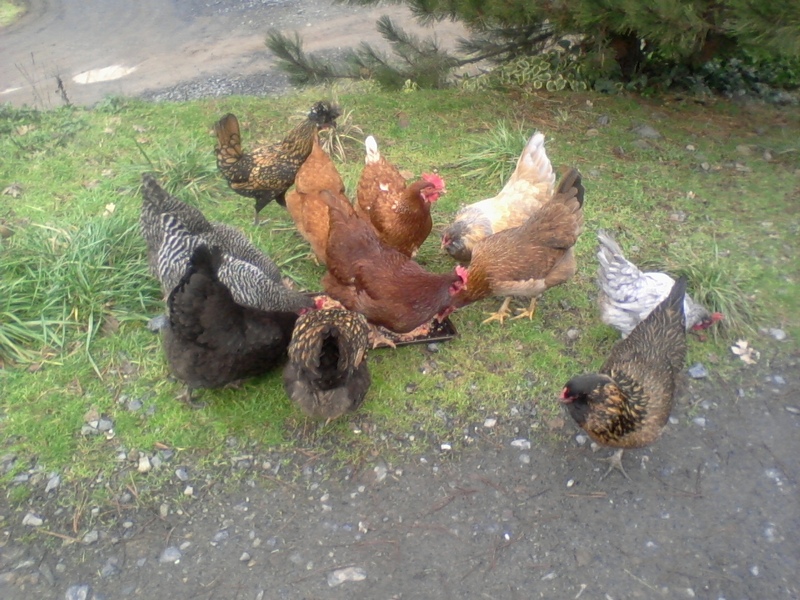 Then I sent 5 of the “original” flock to a home where they could free range once again. 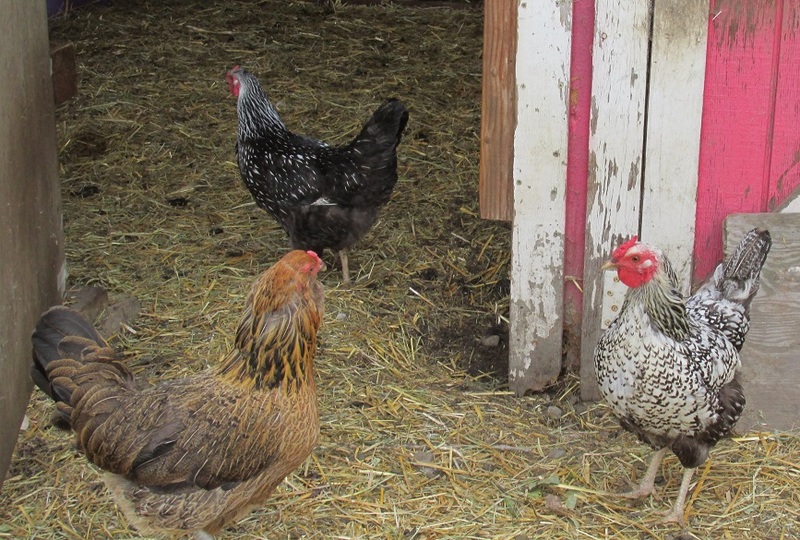 Out of the babies, which none of them were old enough to lay eggs yet, was a rooster! So, I was down to only 7 Layers. Having 5 eggs a day was pretty good production. Then the heat came in early June. It was in the 90’s daily by mid June. Egg production down to about 3, but I did start getting itsy bitsy cutie patootie little eggs in July! The Littles were laying. First of May, there were LOTS of eggs. I had been away for a week and they were still free ranging. In July I moved, and in August, the girls were transplanted into the city. Boy oh boy, did production drop then. They were in a very small coop/run with a whole new flock of chickens. For a bit, we were getting about a dozen eggs a day from The Layers and Crew. A dozen isn’t bad, until you do the math. Damn chicken math!!! I had my dozen, of which 4 of them were The Littles and not laying regularly yet. There was the flock my guy had with 12 that we think were laying, but he didn’t know for absolute certain. He used to have 17, but we re-homed 5 of his before we brought mine. So let’s look at the math. 17(his original Crew) + 12 (My group) – 5 (The Littles)=24 Layers – 5 (the ones he re-homed before mine came) = 19 Layers. I’m getting lost in this chicken math. I know we re-homed a few of his and a few of mine to get to where we had 1/2 dozen of each and by putting them all together we had a flock of a dozen. Then we got the two Red-Laced Blue Wyandottes. We are on our way back up. Or so we thought. We are up on chickens but DOWN on the number of eggs. We only had 8 that were Laying and we’re getting about 4 eggs a day. Hmmm….that sounds similarly close to how it was last winter. The pen when we first moved here. It was very small. New coop. They seem to like it. Did I tell you I noticed in late August or early September that my Polish hen had different colored feathers in her bonnet. Some new white ones. She was never a white head before. Before we got the newest Littles (we will always be having Littles I think) my guy again took out his tools and gathered up a bunch of stuff from around this piece of property and he made us a new coop/run that was more airy and larger and more secure and so much nicer. So again, they became upset. They were moved. Production went down again. There were a few days that we’ve had only 1 or 2 eggs. I know that in September I started noticing a lot of feather laying in the chicken run. They were molting. I believe that is why my Polish hen, Miss Donna, had a change in her bonnet. A few of them became pretty rough looking over the next few weeks. Even my gorgeous Austrolop, Sweetie, was not her usual full feathered self. Fortunately that only lasted a month or so and they are looking much better now. She isn’t her usual fluffy self, a little thin on the feathers. This Americauna is looking pretty good. I think she is who is giving me a blue egg every other day. Poor thing looks pretty pathetic. She was hit with the molt the hardest. Here we are now, with mid November upon us and still production is down. We put up a light for heat and well…for light after daylight savings time ended. Even with 24 hours of light we still only are getting 3 or 4 eggs a day. I am starting to think that a few of my guys Crew are much older than 2 or 3 years old. If that is the case, we may be rehoming a few, or making chicken stock. We decided to give them 2 weeks to ante up, or off they go to a new home or the stew pot. That is part of chicken math too! When you have the bulk of a flock that isn’t laying for months on end and you are spending money on feed and not having anything tangible in return, then something has got to change. At least at our house it does. Some light through the night to encourage more laying! This is what I’ve been finding each day, or less! Fall Rose. It will be dropping all it’s leaves soon too. Peggy is peckin on the pumpkin. On the up side, the Blue Red Laced Wyandottes should be laying anytime now. I haven’t noticed any tiny little eggs yet, but they are just about the right age for those cute first little round eggs. I’ll be sure to share it with you all when it occurs. The Littles give little eggs. The year of the chickens. A year of learning. About chickens and eggs and what goes with them. What came first? For me it was chickens..but for some it’s the egg! What came first, the chicken or the egg? Well, at my house that is an easy question to answer. The chickens came first. It was a year ago to be exact! One year ago this week I went and brought my first flock to live with me on the farm I lived on out in Applegate. I caught the chicken bug the first month or so of 2012. I had been told where I had been living that I was going to have to wait at least until spring of 2013 before my desire would come to fruition. Then, the end of the summer of 2012, I moved. I no longer had any constraints to keep me from getting the object(S) that my heart desired. My landlord gave me the thumbs up and I went to work cleaning out and renovating an old coop that was next to my barn apartment. It was my first time doing any construction of any kind. Fortunately I had a friend who came to help. He brought his tools and his strength and his knowledge, but the ideas were all mine and I did my fair share of measuring and cutting and hammering and setting screws. Of course I had cleaned the coop out before we started renovations. There was old straw and chicken poop all over that needed to be shucked out and scrubbed down and disinfected. That’s right. I learned you need to disinfect the coop when you are going to be bringing in a new flock. So…it was sprayed down with Basic G from Shaklee and I let that dry for a couple of days before adding bedding. I decided to do the deep litter method using straw on the bottom and pine shavings in their nesting boxes. Every so often I would add more straw and also some shavings to the floor. I had no smell and didn’t have to clean the coop from October to May. This was my work station when I began planning the renovations for my coop. This is the wall and door way that my friend and I added for renovations. 5 gallon planter buckers were used for laying boxes. Deep litter method with straw and pine shavings. I had never even held a chicken before the day I went to pick them up. The gal I bought them from was going through some really rough times and needed to move her kids to California and couldn’t take the girls. She was so sad about it and I did the best I could to reassure her that they were going to be loved and loved and loved. And they were. So, things I had learned before I even retrieved my girls was that they needed to have a place where they were safe from predators, especially at night. They needed their coop to be dry and not have chilling drafts. They needed food specific to their age and calling in life (mine were on Layer Pellets) and fresh drinking water. I had read they needed to have roosts and laying boxes and ladders to get up in the boxes and special treats and lots of other things. I quickly found out they don’t. The will find anywhere to roost or sleep if they feel safe and the same can be said with laying eggs. But I made sure my coop had plenty of laying baskets and they had plenty of roosting space and a locked coop for night-time. I had decided I wanted my Layers to be free ranged. That means that they were free to roam as far as they chose to. Since we lived on a 13 acre piece of property they had quite a wide expanse of territory. They mostly stayed in the 3 acres close to my barn apartment and the main house. While letting them free range during the day does increase their risk of being struck by a predator, I felt it was a more natural and kinder life for them. I did loose one of my hens to a hawk about three months after getting them. RIP Grace. I realized that was part of the deal. Life and death. So, the chicken came before the egg, but once the eggs started….woah Nellie did I have eggs! It only took a few days from their relocation before I think each Layer had laid at least one egg. They do not lay an egg EVERY day. Each breed has an approximate number of eggs they will lay in a lifetime. Most of them lay an egg about every 24-30 hours during their peak laying years. 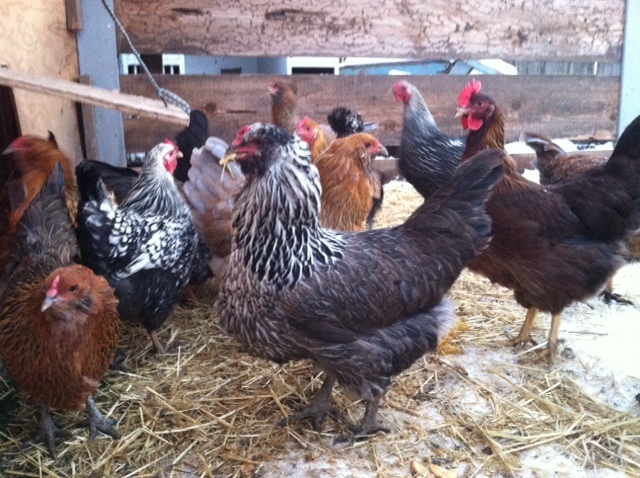 So with a Bakers Dozen girls I would get about 5 dozen eggs a week when they were all in prime laying. I have learned that their laying habits can vary based on many things. When they molt (lose their old feathers and grow new ones which occurs once a year) they generally don’t lay. Some chickens have a hard molt and they look pretty rough. Miss Donna, my Golden Laced Polish hen, hardly looks any different during her molt, but she hasn’t given me any eggs during her molt. I’ve also learned that stress will decrease egg production. Decreased light will also cause low productions. Over the hardest part of the winter I was only getting one egg every other day per hen. Also, this summer when we were having so much smoke from our fire season and the temperatures were soaring above 90 degrees and into the low 100’s for weeks on end, I did not have good production. Moving them stresses them. Adding new chickens to the flock is stressful. Essentially I have learned that hens like things to be constant and the same and not to be upset if you want to have good output. My girls and their eggs have brought so many new and wonderful things to my life. I started my community Facebook page and have met so many interesting and knowledgeable people who enjoy chickens and sustainable living and healthy eating and many things I enjoy also. 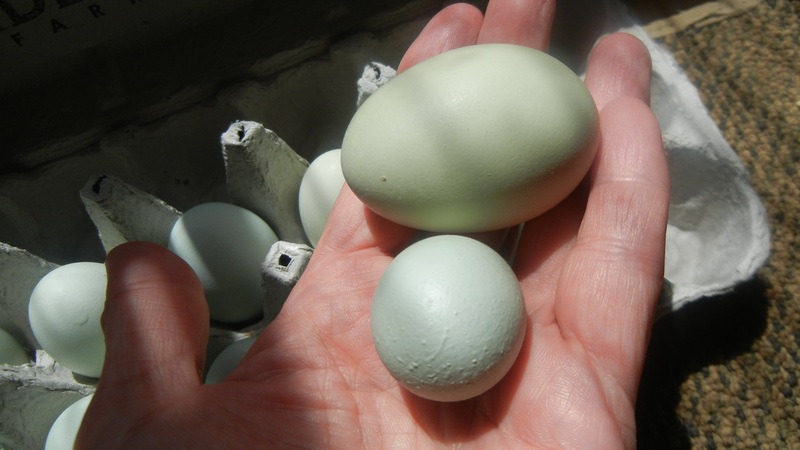 I started doing this blog and the Layers and Littles, or their eggs, had a star role often. I sold some of my eggs, which led me to meet others who sold eggs and had chickens. And of course…with all those eggs…I did a LOT of egg cooking. I made stuff for myself and for others. The eggs became the basis for my Barter Basket that was my payment for my physical therapy once a week. 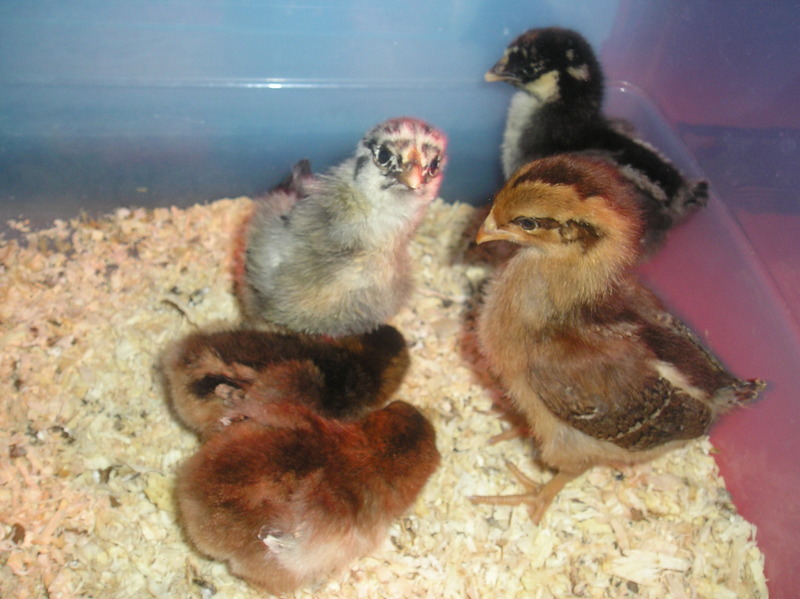 About 4 months after becoming known as “that crazy chicken lady” by my friends, I bought some day old chicks. I decided I wanted to start from scratch. My first batch was 2 Silver Laced Wyandottes (SLW) and a Welsummer. The following week in February I bought a pair of Speckled Sussex (SS). My landlord bought 35 babies and let me tell you..that many babies makes a real racket and a stench if you don’t keep up on them. My five Little’s were kept up in my apartment with me until they were 5 weeks old. I just used a clear plastic tub and had their food and water and a heat lamp hanging above it. You have to help keep them warm, so a heat lamp is the easiest and least expensive way to do it. From the first week of having the SS chicks I knew they were different. From each other that is. There was just something about them. Low and behold, about June, the one that had a bit larger comb began to crow! I had a pair that I could breed and I was excited to think about hatching eggs. I had a rooster! And what a handsome cocky boy he was. Baby chicks don’t take much to start, but PLEASE don’t get babies until your have a coop ready for them! The Layers had some time to check out the Littles before they had to share quarters. A secure place for the LIttles under the poop board until they are acclimated to the Layers. I started introducing the Littles to my Layers when they were about 6 weeks old. I would take them outdoors and have them in a pen where the big girls could get a look, but not get at them. Then when they were about 12 weeks old I moved them to the coop, but kept them sequestered in an area of the coop to themselves and only let them out when I was in attendance. I did this for about a week and then one evening after they had all been outdoors for the late afternoon, I let them all go in to find their spots at bedtime and they all just were together after that. 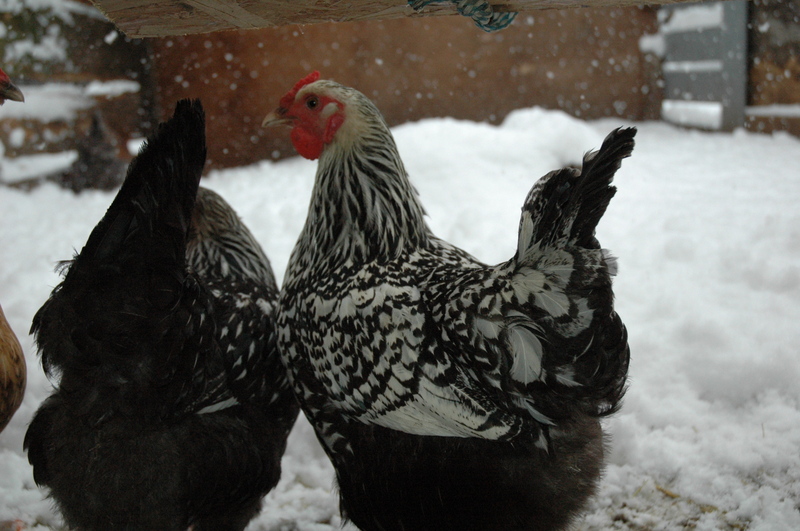 Pumpkin and Peggy…my pair of Speckled Sussex. Pumpkin feeling his oats…with the girls! Mr. Pumpkin, my Roo with some of his ladies. Then life changed and I needed to move. To town. I knew I couldn’t bring a rooster to town and so I relocated Pumpkin and 5 of my older Layers with someone out in the country. I packed up the 4 Littles and Miss Donna and Sweetie (she’s an Austrolop) and brought them to town and they joined my boyfriends motley crew of 14 hens. We ended up rehoming 8 of his and were back down to just a dozen. They haven’t been as happy here and our production as been down. They have to be in an enclosed chicken yard and I don’t think they like that as much as running free. I have learned that chickens LOVE treats. In the winter I would give them warm oats with apples or raisins in them. Sometimes I would add some scrambled eggs for extra protein. Some people think you shouldn’t give chickens eggs or chicken meat. My girls love both! They have yet to show any signs of cannibalism, but they love having some warm scrambled eggs on a cold morning. I also started growing and giving them sprouts when they weren’t getting out to free range. They also like scratch, sunflower seeds and fruit and veggie scraps. My girls get a wide variety of diet with their base being Organic Layer Pellets from the Grange. I love using the bags to decorate their coop as well as I used them to line planter boxes this summer! My original Bakers Dozen enjoing some snacks on a fall day. A snack of sprouts I grew enjoyed by a few hens. The group I had when I got the LIttles. 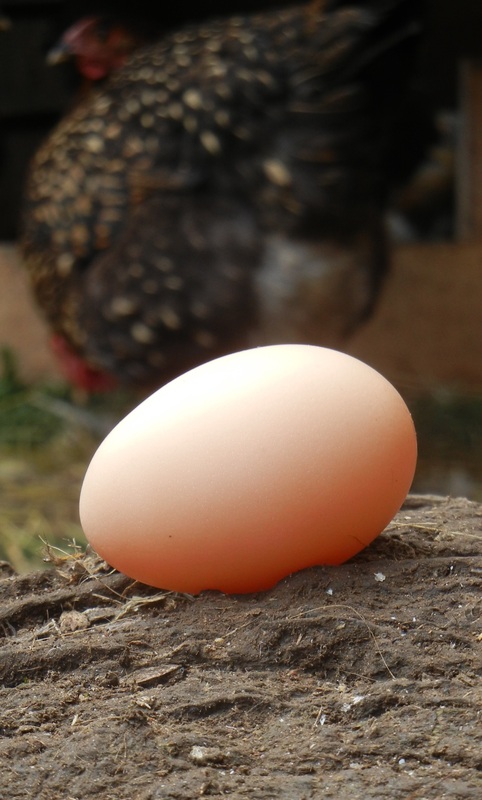 A few other things I’ve learned this year about raising chickens. Sometimes you forget that you’ve put an egg in your pocket and it gets squashed. Sometimes they don’t have “fluffy butts” but rather have nasty butts and need to get a good washing! I wasn’t sure, but I found out that they will go out in the snow. And they LOVE to take dust baths. Those are just a few things I learned just by watching and enjoying my girls. They don’t like the snow much, but they will go out in it. Some dogs do well around chickens. They are called Livestock Guardian Dogs. And sometimes you have to give their backsides a good washing. We inherited two new pullets a month ago. My boyfriend’s cousin raises Blue-Laced Red Wyandottes and we are hoping when we are able to move back out to the country that we can start breeding them. They are a beautifully marked bird and I have read about many people who are trying to fine tune the breed so it can be added to the American Breed Standard. 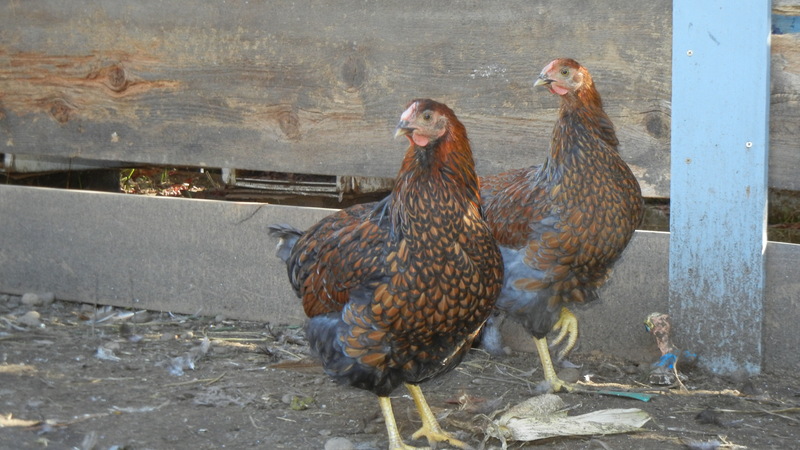 Our Blue-Laced Red Wyandottes…all the way from Utah! So, while the chicken did come first for me, the eggs will be coming for quite some time. And what does that do for me the most??? It makes me smile. I love my chickens. They fill so many areas of my life. They give me food. They are one of the things I do in my life towards being self-sufficient. They are a wonderful conversation topic. 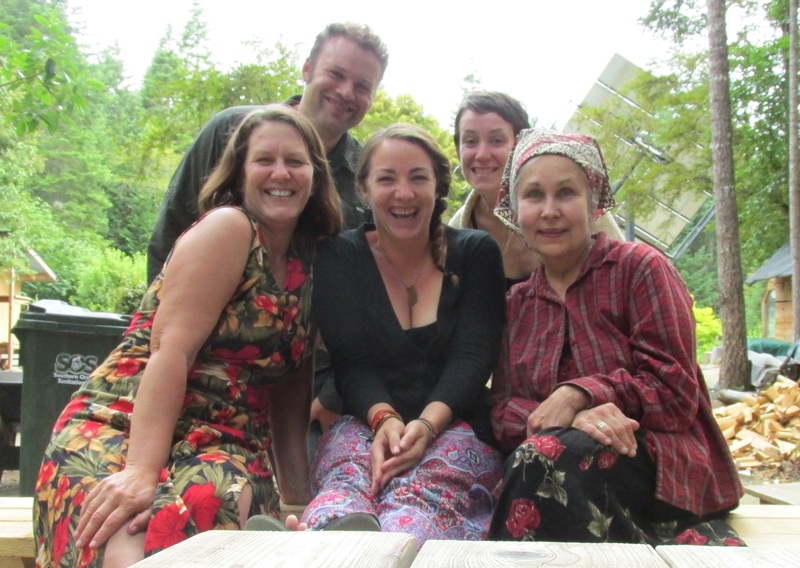 They have brought me new friends which has opened doors for many other new things. My first day with chickens…and the smile has not stopped since! I really fell in love with my first rooster! Pumpkin was a kick! I was having a really rough day and so I went out and just hung out with some of my girls. They always bring a smile to my face. Princess Diana sitting on my shoulder. The Littles were about 9 weeks old here. This was the first day our BRL Wyandottes came. My next post will explain why I need them. You see…production is at an all time low for me. And I’m not talking about eggs. Check back soon and see what I mean about low production! Thanks for reading friends. Now go pet a chicken or eat an egg! It will improve your day…trust me…I know it for a fact! How to survive being a trucker, married to a trucker.